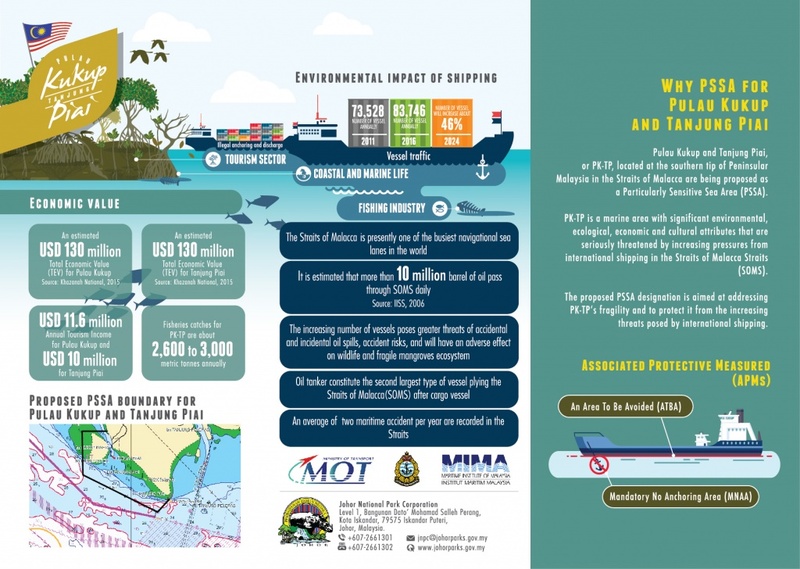 Particularly Sensitive Sea Area (PSSA) is an area that needs special protection through action by IMO because of its significance for recognized ecological, socio-economic or scientific attributes where such attributes may be vulnerable to damage by international shipping activities. Currently PTNJ is still working on preparing final paperwork proposal to be submitted to National Cabinet thus approval futher on the application to the International Maritime Organization (IMO). The aim area is the coastal area from Pulau Kukup National Park to the Tanjung Piai National Park. Matlamat utama MoA antara PTNJ dan UTHM mengadakan jalinan ini adalah bagi menggalakkan kajian serta program sebaran maklumat yang menjurus kepada kepelbagaian biologi, persekitaran, sumber semulajadi, eko pelancongan, social, pendidikan, geologi, arkeologi pembangunan dan pengurusan mapan di Taman Negara Johor terutamantya di Taman Negara Johor Endau Rompin. Pembangunan Pusat Penyelidikan Luar UTHM-PTNJ. Pembangunan Stesen Kecil Kaji Cuaca. Kajian sains sosial & kemasyarakatan. Dalam Perjanjian Kerjasama ini, Taman Negara Johor Pulau Kukup akan dibangunkan sebagai Pusat Penyelidikan Hutan Paya Laut FRIM dalam menjadikan Pulau Kukup sebagai pusat penyelidikan dan pembangunan (R&D) berkaitan Hutan Paya Bakau yang bertaraf antarabangsa. Penyediaan Kemudahan Ruang Pejabat Penyelidikan di Kukup. 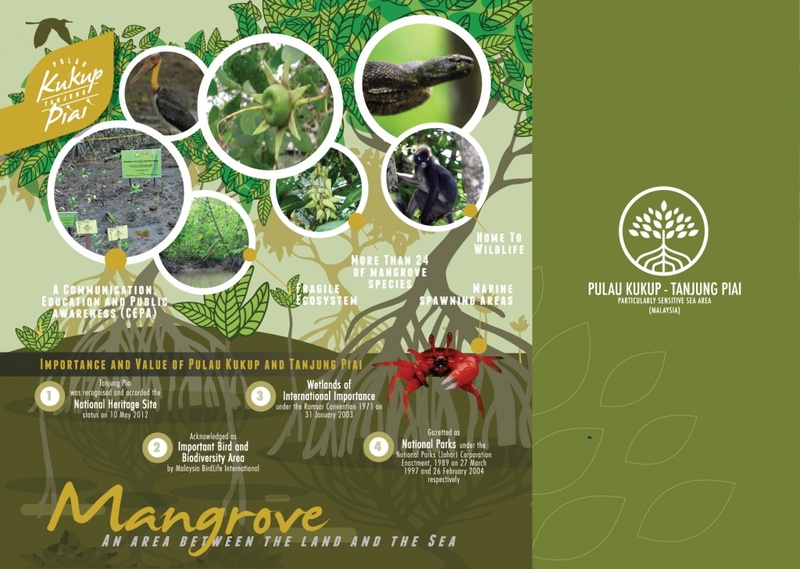 The Johor Wildlife Conservation Project (JWCP) is an initiative by the State Government of Johor to protect as well as to conserve wildlife and forest in Johor. The JWCP receives the patronage of DYMM Sultan Ibrahim Ismail Ibni Almarhum Sultan Iskandar and the support of the Chief Minister of Johor YAB Dato’ Haji Ghani Bin Othman. The major partners of JWCP are the Johor National Parks Corporation (JNPC), Johor State Forestry Department (JSFD), Department of Wildlife and National Parks of Johor (DWNPJ), Royal Malaysia Police (PDRM) Johor Contingent, Kulim (Malaysia) Berhad (Kulim) and Wildlife Conservation Society-Malaysia Program (WCS-Malaysia Program). The project was officially approved via a State Executive Council (EXCO) decision on 5th December 2007, with the official launch on 15th June 2009. The area is under the administrative and legal government of several agencies, hence the numbers of stakeholders involved. e.g DWNPJ and JNPC. The area in red i.e. the Lingiu catchment , potentially has important charismatic species such as tigers, elephants, water birds and otters as it has been a protected area, serving as a water catchment. This area was considered for inclusion into JWCP. Work on a contiguous area in Pahang (dark green) commenced in in 2010 and increased the combined Johor area to 3,627 sq km, thus making it much viable for tigers and elephants. Anti-poaching patrols in Pahang also serve to protect the northern borders of JWCP.